Still unsure about what to get your significant other for Valentine’s Day? There’s no need to panic – you have a lot of options for possible gift ideas in Toronto. Whether you’ve been dating for a few months or for a lot more than that, finding the perfect gift doesn’t have to be stressful. 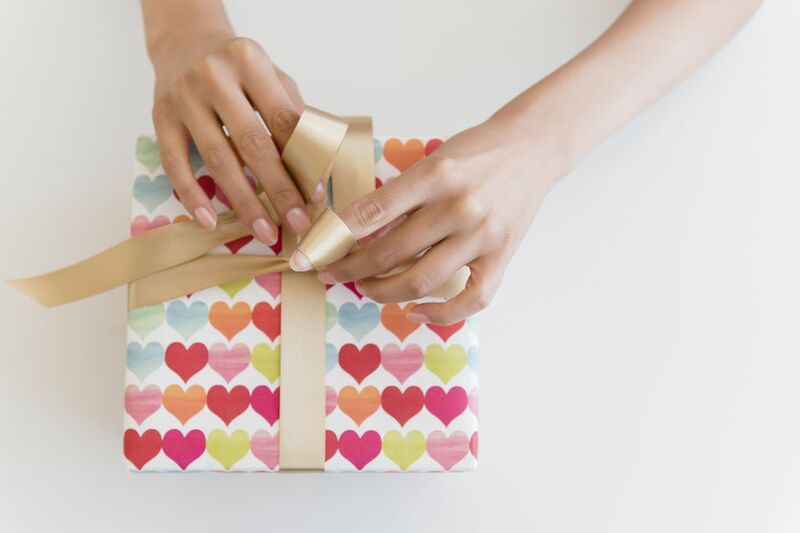 Get inspired to shop for someone special with these Toronto Valentine’s Day gift ideas. And once you’ve shopped, should you now feel as if you need to reign in your spending, we’ve also got some cheap date ideas in case you want to save on the actual excursion after splurging on a gift. Chocolates and candy are go-to gifts for Valentine’s Day for a reason – they make for an easy, affordable gift option and most people appreciate a sweet treat. But skip the generic box of chocolates and instead consider making your way to one of the city's gourmet and artisan chocolate and sweet shops. Some to consider checking out include Delight in the Junction, Soma Chocolatemaker, Nadege Patisserie, Stubbe Chocolates, Sweet Olenka's and The Cupcake Shoppe for cakes, cupcakes, cookies and cake pops. Is your Valentine a foodie? If so, they will absolutely appreciate some gourmet goodies from one of Toronto’s best specialty food stores selling everything from scratch-made sauces and jams, to artisanal breads, cheese and much more. Find a decorative basket or bag, choose a few items you think your Valentine will like and package everything up with a nice bottle of wine. Like chocolates and candy, flowers are a no-brainer when it comes to easy Valentine’s Day gifts. But again, your best bet is to go beyond the generic grocery store bouquets and find something more unique. Some of your best options for blooms that go beyond the usual in Toronto include Poppies, Coriander Girl, Eco Stems and Kay and Young’s Flower Market. Everyone can use a bit of pampering at some point or another, especially in the winter. So purchasing a gift certificate for a treatment at one of Toronto’s best spas is a near-perfect gift idea for anyone unsure of what to get their Valentine this year. Consider Elmwood Spa, Body Blitz (women only), Hammam Spa or Sweetgrass Spa. You could also look into booking some time at a venue that makes it easy to feel totally relaxed in Toronto. Gifts don’t always have to end up in boxes and bags – taking the time to plan a romantic outing can have just as much impact – if not more impact – than something that you purchase. Think about what your significant other enjoys, be it museum visits, outdoor excursions, exploring new neighborhoods, or trying new restaurants and then plan a day or evening out based on that. A hike can be a particularly romantic Valentine’s Day experience if you and your partner enjoy the outdoors and there are several places to hike that don’t involve leaving the city. Or why not pack some snacks and a thermos full of hot chocolate and go skating? In addition, here are some last-minute Valentine’s Day ideas to consider. If the ideas above don’t resonate, that’s OK – you still have lots of options. The key is to choose something personal rather than generic. Ask yourself why the gift you’re choosing is a good fit for your significant other and if you can’t come up with a reason, keep looking for something that resonates a bit more, whether that's a quirky mug that reminds you of your significant other, a unique art piece, funky T-shirt or even a pretty piece of home décor.